In certain situations, it is necessary to store cash for the period of time. Depository safes are used in businesses to hold cash and important bank notes and credit card slips between bank deposits, rather than making a trip to the bank every day. 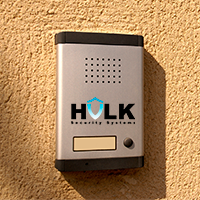 There are many sizes and ranges of this type of safe and they are provided by security services in New York by Hulk Security Systems. We are a company that has been serving New York since 2009 and we have an excellent reputation for providing a high standard of service. Depository safes are a great way to secure cash in retail stores. They can be opened only as needed and different locking mechanisms can be provided. These safes are usually small or medium in size because weekly monies usually don't take up much space. Larger models are available for larger businesses that use more cash drawers and need to keep them all consistently secure. A depository safe will ensure that your business cash remains secure until it can be deposited in the bank. Our security services in New York ensure that you get the best quality safes for the highest level of security. Choose between classic dial locks, biometric locks, keypad locks, and combinations of lock types or any configuration you see fit. A depository safe protects against burglars and also helps with money management and organization. Every business that handles cash should have a depository safe, otherwise money is not secured.